THE Gentleman of Glebe (GG) is a discerning man – especially when it comes to eating out. I’m not saying he’s a snob – he enjoys both the five-star venues and the good “street eat” haunts and he is a guy that is not fussed if he has to join a line to get a table as long as the end product is worthy of the wait. GG sometimes agrees with my reviews and sometimes questions my reviews. Without any encouragement he offers recommendations that have met his standards by discreetly leaving neatly creased take-away menus on my desk. I’m grateful for both the criticism and the menus as GG doesn’t owe me anything considering I played a part in ruining his holiday years ago after enthusiastically encouraged him to travel to Borneo – a place I had only read about and seen pictures of – but a place he found to be harsh and devoid of any decent Malaysian food (which he loves) or margaritas (which he also loves). I trust GG’s recommendations (though he never trusts me on holiday tips), and it was from discovering a neatly folded takeaway menu on my desk on a Malaysian restaurant that I ended up at Mamak Village in Glebe. Mamak Village is in a narrow two-storey terrace on Glebe Point Road with the kitchen downstairs (with a couple of tables for two), and further seating upstairs and on its balcony. It is no relation to Mamak in Haymarket where hordes of people (including GG) line to get a table while being entertained by roti-folding chefs. It does, though, offer staple Malaysian street-food dishes and from dining there with Miss Gob and Miss Pla on a recent Sunday evening, it seems to be popular with other gentlemen (and ladies) of Glebe as it was full by 6.30pm. I wasn’t sure how Miss Pla and Miss Gob would take to Malaysian food (they’re more fickle than discerning), but towards the end of the dinner they had demolished almost everything I ordered and demanded more. The menu is small but features an array of Malaysian hawker dishes – about 27 if you don’t count the rice and beverages. A quirky thing is that all dishes come out on green plastic replicas of banana leaves – I suppose it’s to add a Malaysian warung touch to the place. BYO wine is only $2 per person. Sydney seems to be currently going through a roti craze. Along with the traditional roti canai, Mamak Village has a variety to choose from: roti telor (with egg); roti planta (butter and sugar); roti bawang (filled with onion); roti Hawaii (filled with pineapple, chicken and cheese!!) and roti tuna (filled with tuna and Spanish onion). 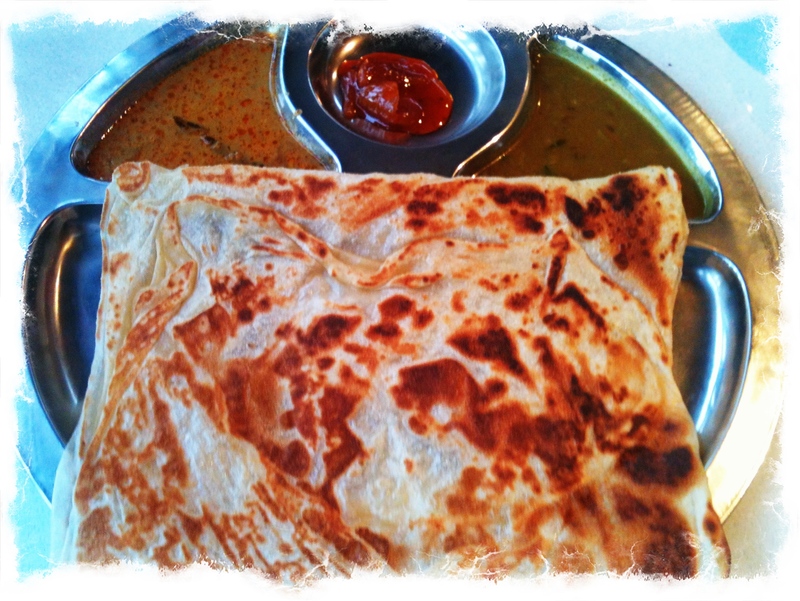 I started with the roti canai ($5) – a square-layered and flaky roti accompanied by three sauces (a coconut-infused curry; tomato and onion chilli jam and a lentil curry). It wasn’t as impressive as the renowned Mamak roti (it lacked a certain fluffiness) but was good and for the price, hard to complain about. Miss Gob and Pla eyed off the roti but were more interested in the “chicken on skewers”. They devoured the satay chicken ($7.20) – four skewers of thigh fillets that had been marinated in coconut cream, turmeric and other spices and then char grilled and accompanied by a creamy, spicy and nutty peanut satay sauce with a wonderful coconut flavour. The smoky and tender satay was a winner but the sauce was too spicy for developing palates. More were demanded and more skewers they got. 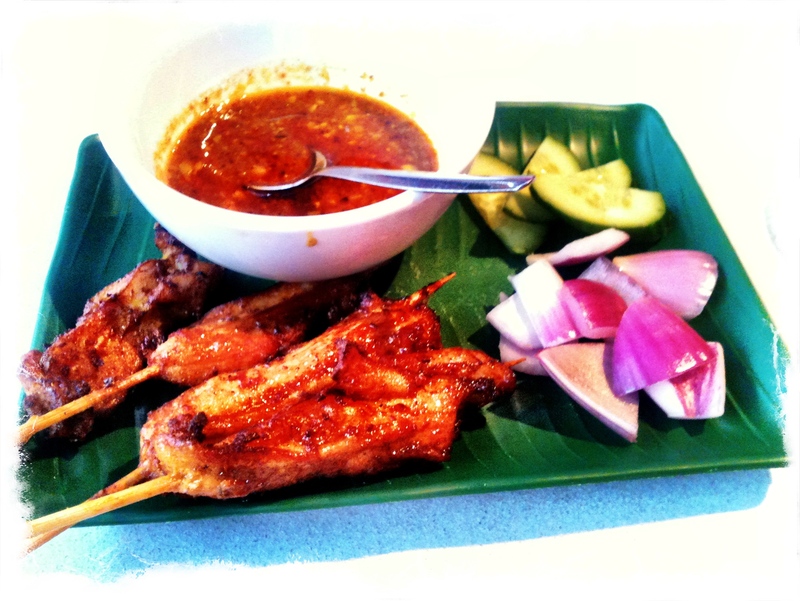 They gave the thumbs up to the satay – I gave the thumbs up to the satay sauce. I was lucky to get a piece of the pandan chicken ($7.20) which was one of the stand out dishes of the evening. There were three triangular parcels of marinated chicken thigh wrapped in a pandan leaf and then cooked on the char grill. Unwrapping it released wonderful aromas or ginger, garlic, lemongrass and coriander. It was juicy, fragrant and tasty, infused with a char smokiness and subtle herbal overtones. So good, I had to beat back little hands grabbing at the last one. I craved for something spicy – the Capitan curry chicken or the beef Rendang (both $14) were tempting but I had to be content with something a bit milder and more appealing to the masses (so as not to freak out Miss Gob and Miss Pla), so it was noodles – a mee siam and a Penang char kway teow (both $13.90). 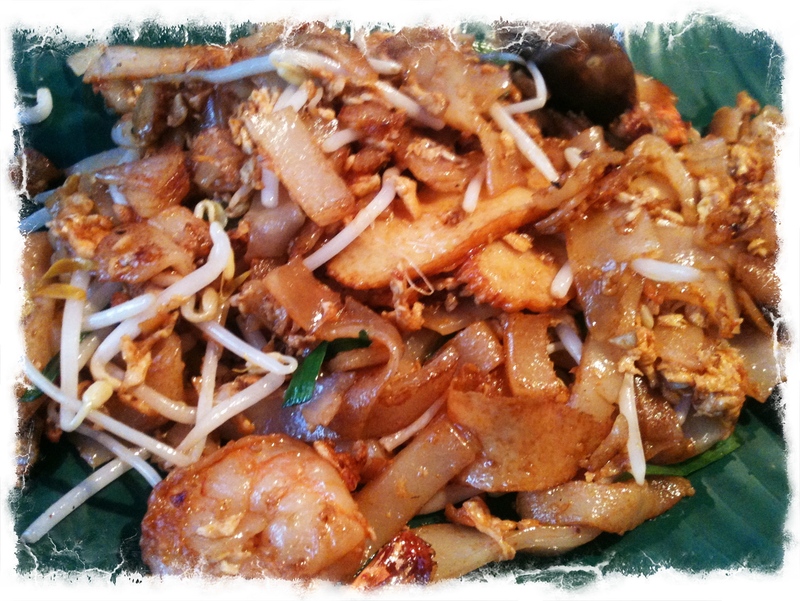 Char kway teow has always been a popular Malay hawker dish with Aussies. Who can say no to soft and wide rice noodles wok-fried with fish cake strips, prawns, spring onion and egg in sweet soy and topped with crunchy bean sprouts? Miss Gob and Miss Pla, that’s who. This dish, which was meant to be for the grown ups, was attacked repeatedly. It was a solid version, not overly seasoned and had some nice wok char all round with that smoky “breath of the wok” and slight belachan flavour. I prefer to be a little spicy but I had to be content with the standard option. Miss Gob and Miss Pla’s mee siam was of the lighter citrus style than the deep coconut-based style that is also prevalent in Malaysia. That was fine, it was a balmy night and their vermicelli rice noodles wok fried with prawns and firm tofu and then mixed with a light citrus sauce (which had elements of lime and possibly tamarind) served on a bed of shredded lettuce was ideal for the warm spring nights Sydney was experiencing. It was demolished by grinning faces as was the case with the other dishes. Mamak Village is perfect for those who crave the delights of Malaysian hawker cuisine and is a viable option than joining a long queue at another place. It won’t disapoint and may even bring back pleasant memories of a Malaysian holiday (thanks, GG, I owe you a better travel tip next time). Beware – it’s cash only. The verdict: Mamak Village has a limited menu featuring only a handful of Malaysian street eats so don’t expect wow factor. Do expect food that would be cooked just like it would be on a Malaysian street corner which is the whole point of the place and why Glebe denizens cram the joint. 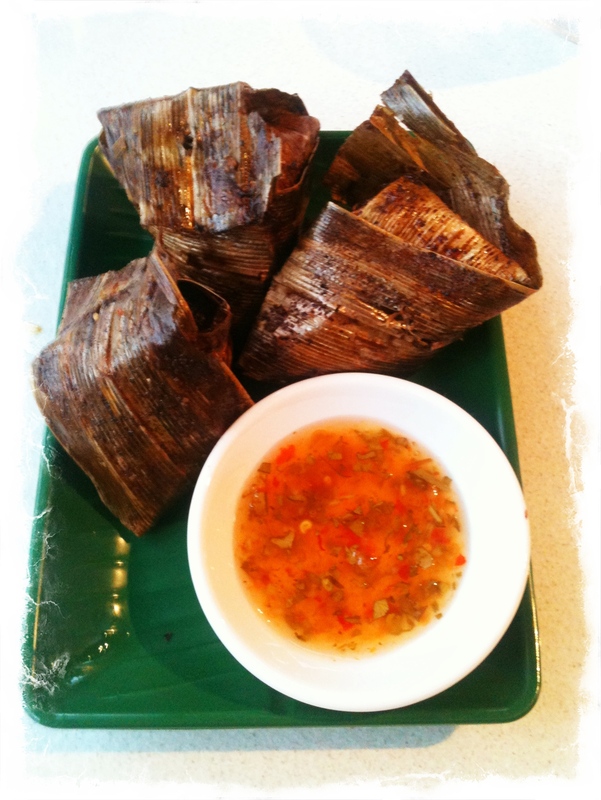 What: Mamak Village, 25 Glebe Point Road, Glebe, NSW, Australia. Open Monday to Thursday 11.15am to 3pm and 5.30pm to 9.45pm. Friday to Saturday 11.15am to 10pm and Sunday 11.15 am to 9.30pm. Cash only. 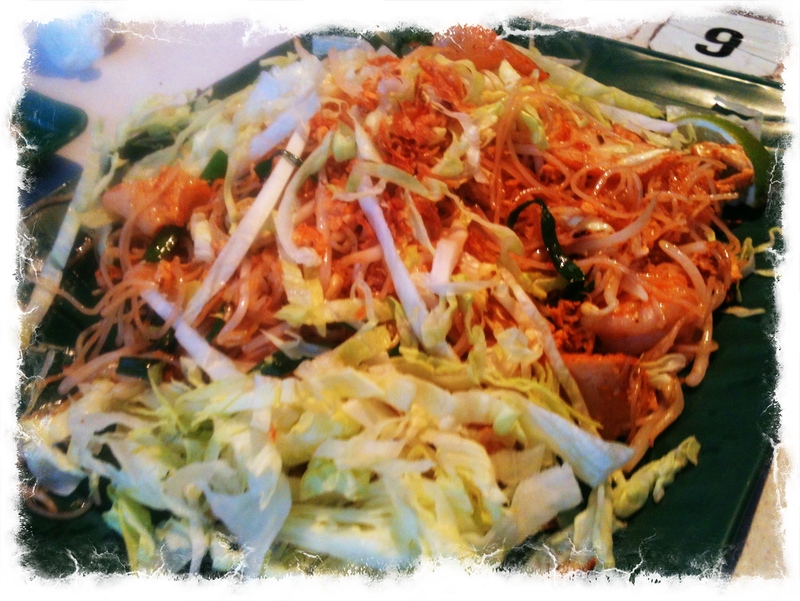 Ate there: 6 November 2011. This entry was posted in Hawker food, Malaysian, Sydney and tagged Australia, Food, Hawker Food, Malaysian, Mamak Village, street food, Sydney. Bookmark the permalink.